This remote site in Southwest Colorado was built about 1000 years ago by the Ancestral Puebloan People (also known as the Anasazi). 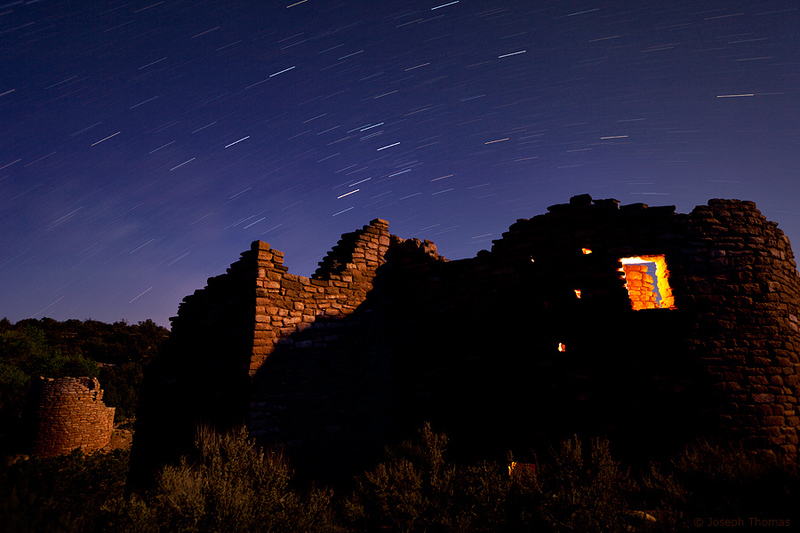 I used a flashlight to illuminate the inside of the pueblo while the moon lit the outer walls. It's easy to imagine the Ancients dwelling within and warming themselves by a fire.